...a collection of 500 Words clips, tips and tricks to ignite your imagination, and get those creative cogs turning. Every story starts with a spark. This is a spark of inspiration - the beginning of an idea - from which a story can grow. But sometimes when you look down at a blank piece of paper, inspiration can seem a long way away. 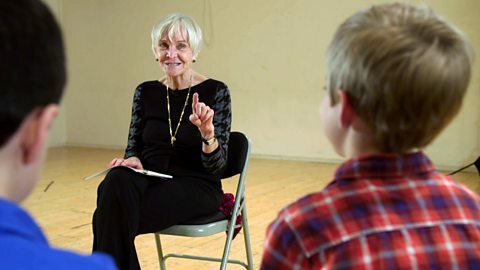 Keeping your eyes – and ears – peeled can help you to find story inspiration. From the places you visit and the people you meet to newspaper headlines or conversations you overhear on the top deck of the bus, ideas for settings, characters and story plots can be found everywhere. Keep a notebook with you to jot down your ideas whenever inspiration strikes. Fascinating facts can also spark a story idea. That’s what happened to me when I discovered that bananas are radioactive! From this strange scientific fact, I got the idea of a boy who could use the radioactive power of bananas. This story spark eventually became my novel The Many Worlds of Albie Bright, which tells the story of a boy called Albie who invents an experiment called the Quantum Banana Theory that allows him to travel to parallel universes in search of his mum. • A single bolt of lightning contains enough energy to toast 100,000 slices of bread. • The average person accidentally eats over 400 bugs a year. • A laser beam can get trapped in a waterfall. • The octopus has three hearts. • Snails have thousands of teeth. Sue Wilkinson from The Reading Agency reveals how reading can help you become a better writer. Award winning author Jacqueline Wilson popped in to speak to Jo Whiley this week and inspired our pals in Radio 2 HQ to find out what wisdom other amazing others have to share. What's it like to take Gold? Being honest can be the key to brilliant writing. 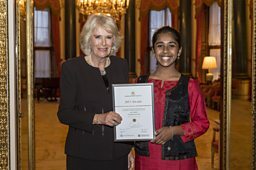 Hiya Chowdhury, Senior Runner-up in The Queen's Commonwealth Essay Competition, shares her experience of award-winning writing here. From Agent Wonka to Big Friendly Zombies, snozsprouts to puckleberries, this year’s entrants to the 500 Words competition show how Roald Dahl’s language continues to inspire them. So you’ve got a great plot, a perfect protagonist but you can’t quite nail that ending... So, to bring your story to its perfect conclusion, here are some common tricks novelists use to bring their plot to a conclusion. How will your story end? Historian and joint Chief Curator at Historic Royal Palaces Lucy Worsley shares some intriguing stories from the Tower of London. Our truly talented 500 Words 5-9 category Gold winner describes the excitement of the 2016 500 Words Final. Chief Yeoman Warder Alan Kingshott brought in some props to give Chris a 'show and tell' tour of the Tower, each with their own story to tell. 2016's 10-13 category Gold winner Ned Marshall has some advice for anyone who's still unsure whether they should write a story for 500 Words. On the 16th June 2017, the world’s biggest writing competition for kids, lands at the Tower of London in a spectacular extravaganza. There’ll be live music, superstar celebrities and sensational stories. The 500 Words Final could be the red carpet premiere of your very own story. Here are 10 reasons why the Tower of London is awesome – and why you need to be there. Once we can read and write, it all seems quite easy. We might struggle to read or spell some words. We might not always understand everything we read, and sometimes, making our writing say exactly what we want it to say can be tricky. Generally though, we get along just fine. Yet, what’s going on in our minds as we read and write is pretty remarkable. How is it we do it, and how do we learn how to read and write in the first place? Award winning author Tom Palmer has some hints on taking inspiration from your favourite sport, to get you over the 500 Words finishing line. Alphabot has jargon buster full of fascinating words from the Middle Ages. 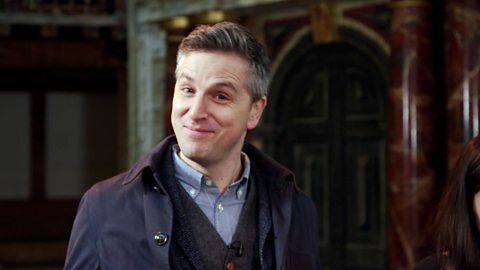 Jonathan Bryan is an extraordinary 500 Words writer who uses his eyes to select letters on an alphabet board to make words. He uses this system for all of his communication. 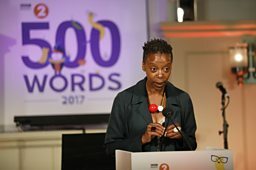 500 Words judges Frank Cottrell-Boyce and Malorie Blackman answered some of your questions during the special 500 Words Live Lesson. Writer and storyteller Lari Don shares some thoughts on strong females, scrapping stereotypes and totally different toads. Author Christopher Edge was over the moon when he found out that he was nominated for the CILIP Carnegie Medal 2017, and we were over the moon to hear that 500 Words helped to inspire one of his stories! Sometimes it's hard to find the perfect word, but thankfully our brainy buddies at Oxford University Press have been busy collecting all of the vocab used in the hundreds of thousands of 500 Words entries. 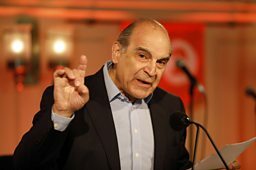 Losing faith in your story? Worried that it's just not good enough? Don't fret! Little Star Writing wants you to know why your story is unique to you. Wish that you could wave a magic wand to summon the perfect protagonist for your story? The Worst Witch author Jill Murphy and CBBC series writer Emma Reeves share some of their writing wisdom to help you craft dynamic dialogue, and create characters to enchant your reader. Authors Andy Stanton and Andy Riley have ten tips to help you write a story that will have your reader rolling on the floor with laughter. Step outside with Beetle Boy Author M G Leonard as she encourages you to explore the natural world to find inspiration for your story. 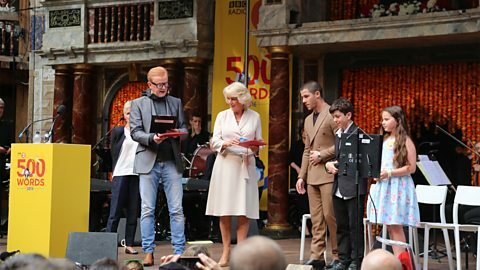 Chris Evans, Francesca Simon, Frank Cottrell-Boyce and Malorie Blackman impress HRH The Duchess of Cornwall with story tips! 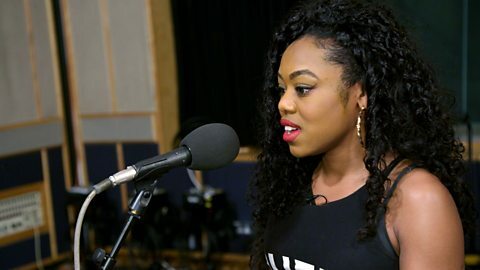 Teacher Lauren Williams has an inspirational story about some of the pupils at Oxfordshire Hospital School. Children's Laureate Chris Riddell has some scribblings and sketches to kick-start your story. Awesome author and Illustrator Tom McLaughlin doesn't let dyslexia hold him back from writing, and neither should you. Why a book at bedtime is so important for children's literacy, written by one of our fabulous 500 Words volunteer judges. Four famous authors have some words of wisdom for budding young writers. Librarian judge Elizabeth Ryan lets us know what features she looks for in 500 Words stories, and what she awards the highest marks to. 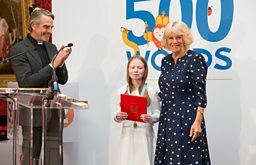 It's not every day that you have the chance to meet Her Royal Highness the Duchess of Cornwall at the spectacular St James Palace, but that's exactly what our 10-13 category Gold Winner got to do at the 500 Words Final in 2015. Teacher and volunteer judge Emma Harris explains why 500 Words provides the motivation to get kids engaged with creative writing. Do you have specific learning difficulty (SPLD) that can make it difficult to organise and record your ideas in words on paper? If your answer is yes, then you are in good company. Presenter George Sear's a bit of a bookworm, but he wasn't always such a big fan of reading. He tells 500 Words how finding the right book for him sparked his love of literature. 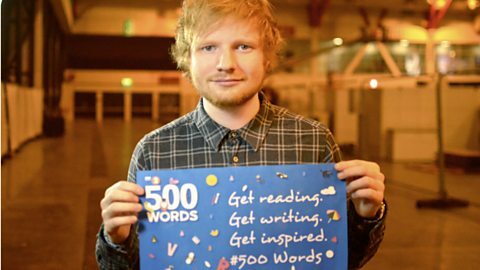 Need 500 words inspiration? Will.i.am on creating futuristic worlds and getting started. 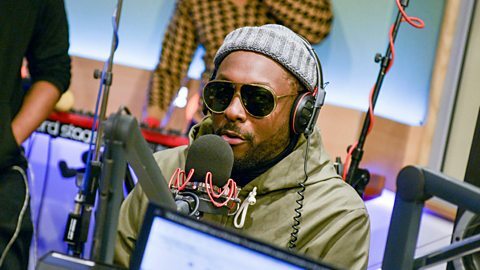 Will.i.am shares his writing wisdom after penning his new novel, War: Wizards and Robots. 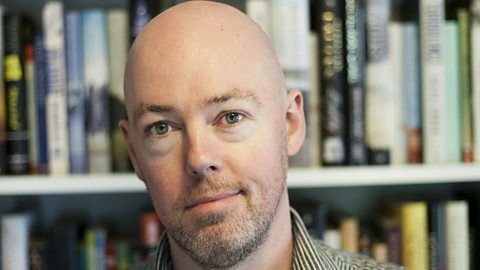 John Boyne: "500 Words stories don't need a big set-up..they can just be a moment"
The author of 'The Boy With The Striped Pyjamas' gives his top tips on writing 500 Words. 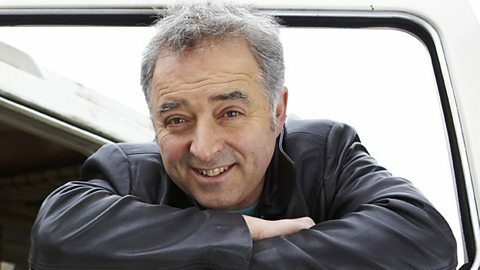 500 Words judge Frank Cottrell Boyce answers your questions about writing. Greg James: Get Reading, Get Writing, Get Inspired! Greg James - Get Reading, Get Writing, Get Inspired! 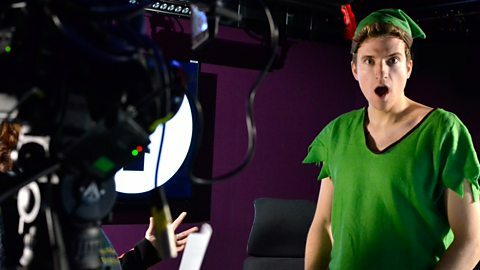 Radio 1 Dj Greg James talks about why he thinks it’s important to get writing! 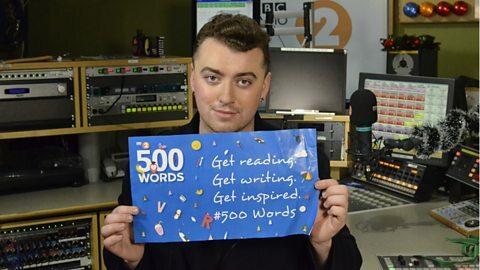 Sam Smith - Get Reading, Get Writing, Get Inspired! “Money On My Mind” singer, Sam Smith, says emotion and life experience helps him write. Why YOU should bother with books! 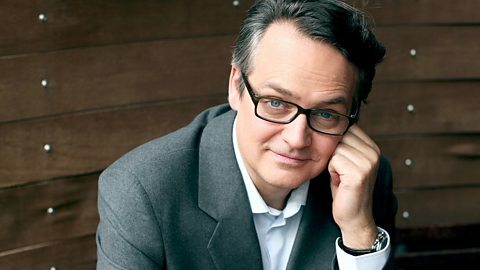 A sensational selection of famous faces reminisce about their reading revelations. 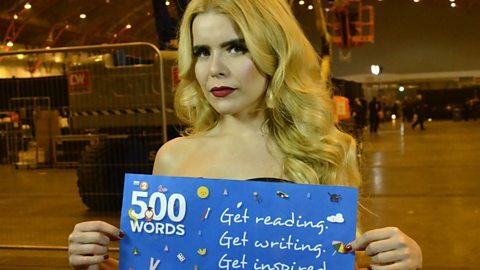 Superstar singer Paloma Faith says learning difficulties shouldn't stop you reading. How does it feel to be a 500 Words winner? 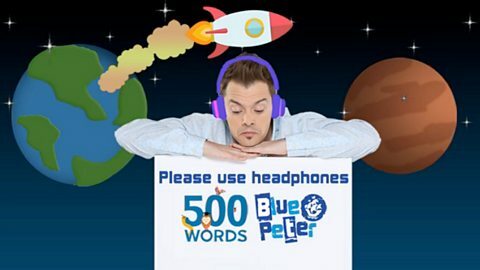 Barney Harwood's Blue Peter 500 Words Story! The captain of the Blue Peter ship has set anchor at 500 Words again with his own story! 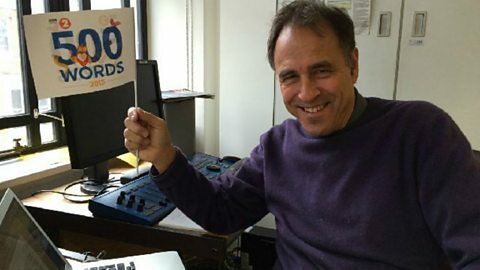 Anthony Horowitz Reads His Very Own 500 Words Story! 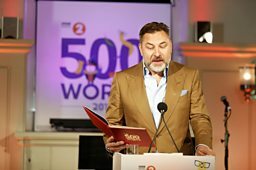 Anthony Horowitz's 500 Words Story! An exclusive Horowitz horror for 500 Words! 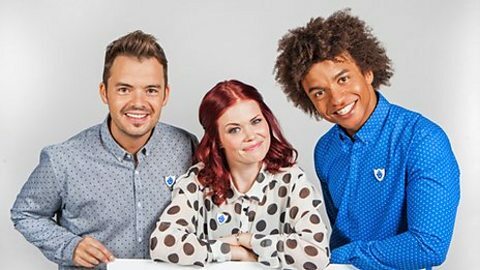 Blue Peter's Barney Harwood shares behind the scenes gossip of his own 500 Words story. 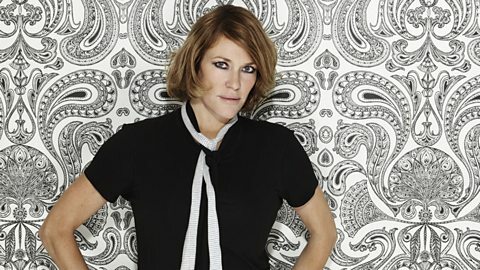 Cerys Matthews sets a 500 Words finalist story to music. Cerys reads 2015 top 50 story 'Watching the Animals' set to some beautiful music. Fantastic 500 Words writer Jonathan has an inspirational story to help start your story. Winner Evie Fowler describes her day to remember, at the 2016 500 Words Final. 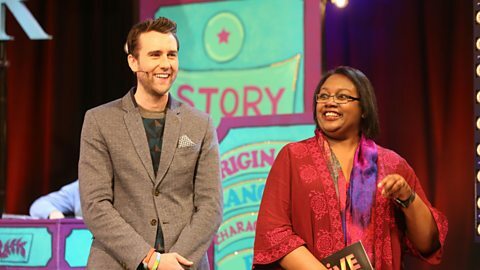 The Worst Witch author Jill Murphy and CBBC Writer Emma Reeves share tips on character. 10-13 gold winner Ned Marshall has some terrific tips for this year's entrants. Find out about the Tower of London, from a crown to an ancient lion bone. Children's Laureate Chris Riddell sketches out his advice for writing a wonderful story. The importance of reading with children, written by a 500 Words volunteer judge. 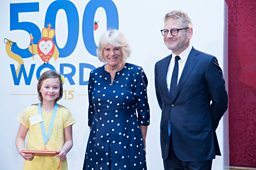 An exciting account of the 500 Words 2015 final written by the 5-9 Category Gold Winner. Authors Andy Stanton and Andy Riley share tips on humour to make your reader giggle. Author Chris Edge has some inspiration that's out of this world. Lucy Worsley has some true tales from the tower to spark your imagination. Storyteller Lari Don has some tips on how to create unique characters. 2015 5-9 category bronze winner describe how it felt to be at the 500 Words Final. Little Star Writing explain why no idea is the wrong idea. 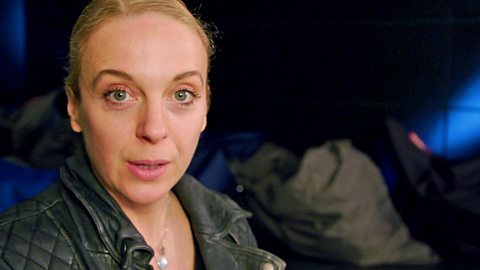 The events of the 500 Words 2015 Final written by the 10-13 Gold Winner. Author Tom Palmer explains how you can take inspiration from your favourite sport. Four fantastic authors have some amazing advice to break through writer's block. Liz Ryan, Librarian Judge - 2014 and 2013, shares her tips. 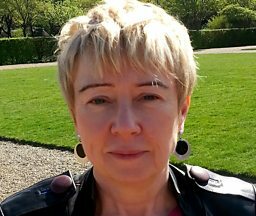 Sue Wilkinson from The Reading Agency on how reading can help you become a better writer. Word clouds bursting with lexical inspiration. Author and Illustrator Tom McLaughlin doesn't let dyslexia hold him back from writing. Books and stories are tickets out to the wider world when you’re a kid in hospital. The Dyscovery Centre share some story board tips. Some advice from one of the fantastic 500 Words volunteer judges.